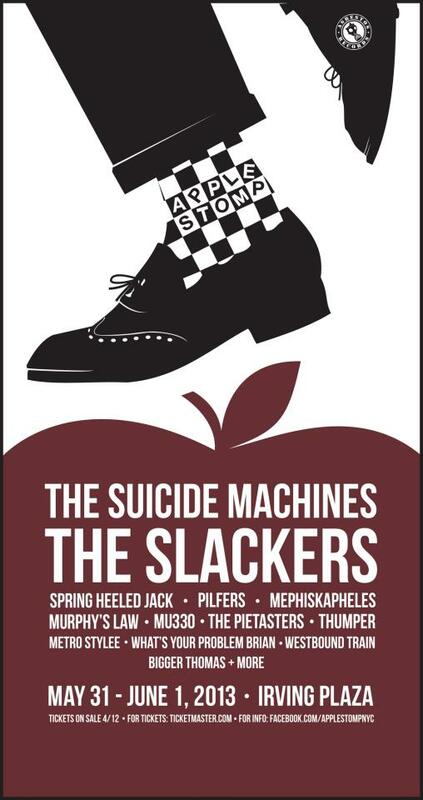 As you know, APPLE STOMP is coming to Irving Plaza in NYC on May 31st and June 1st. Boasting an incredible lineup curated by our friends at Asbestos Records, we are beyond excited to help bring you (arguably and to date) the best Ska lineup you’ll see all year in the US and beyond. I mean, I haven’t seen anything this good since, well, ever! Tickets for this monster go live at 12 PM TODAY, and there are app. 1,000 2-day passes available. Price is $55 for both days before Livenation fees (which will probably be exorbitant, but we have zero control over this and apologize.) Once the 2-day passes are gone, the show will be sold out. If 2-day passes do not sell out, there will be a limited number of single day tickets available. But then, why would you only want to see 1 day?! Click RIGHT HERE for the tickets at NOON TODAY, and thank you all very much for your support. This is going to be an incredible time, so don’t miss out… Join us!